The Dock Shelters are meant for protecting operators and stock from the external elements during the loading and unloading from vehicles. 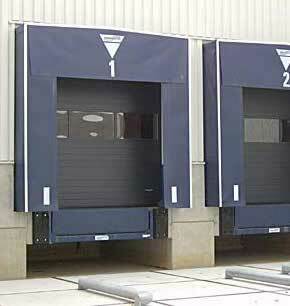 The Loading Dock Shelters are also helpful to prevent heat loss in unfavorable conditions. Manufactured from the high quality material, these Dock Shelters give long lasting performance. To cater to the specific requirements, the Dock Shelters are available in various sizes. We are among the renowned Rigid Dock Shelters Manufacturers in this country. Moreover, we stand in the front raw among the Dock Shelters Suppliers in India.